Located in Ely, A10 Taxis strive to provide an unrivalled service to all customers. With 10 years of experience, over 30 vehicles and all drivers CRB checked you can be assured of a great taxi service with the ability to cater to their customer’s needs, ranging from spontaneous journeys to pre booked airport trips. A10 taxis are able to provide. 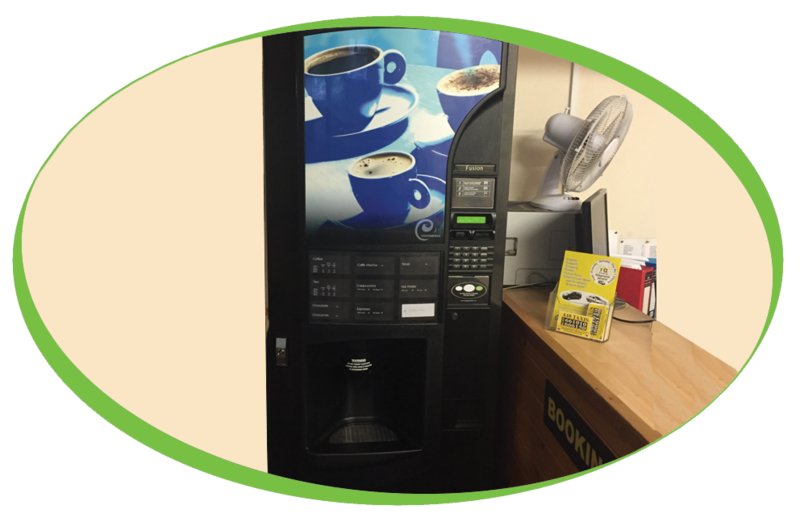 A10 Taxis have chosen one of our freestanding vending machines in their reception waiting room, this provides a wide range of drinks to customers and staff. This machine is using our Café Columbia Freeze Dried coffee, Whipchoc, 100% Skimmed Milk and Vending sugar, we are also able to provide soup for the machine, we stock a variety of flavours to suit everyone’s taste. The Machine is covered by our Gold Service plan to ensure that if they do have any issues that one of our trained engineers will attend and repair any faults as soon as possible free of charge*.